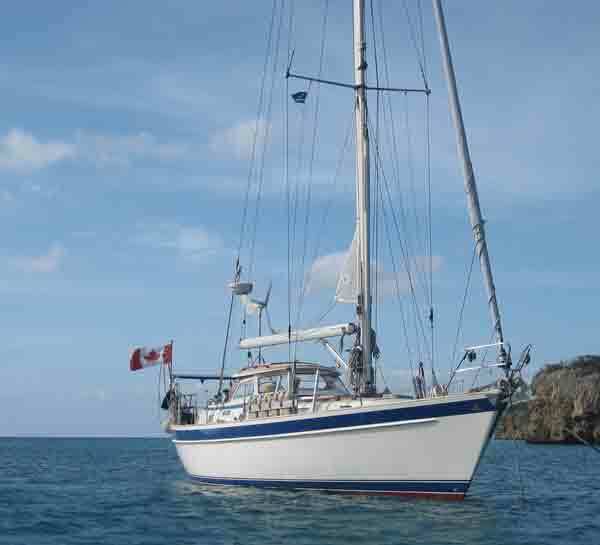 This is ANGEL our 42’ Hallberg-Rassy sloop and our home throughout our projected circumnavigation. 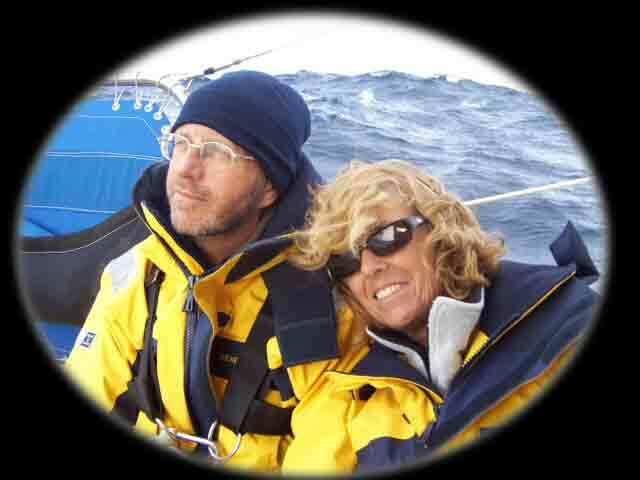 This is a favourite photo of the two of us en route to Gibraltar in 2003 . We are currently commencing a circumnavigation. Most of the journey will be in the company of 29 other yachts under the auspices of a British company, BLUEWATER RALLIES. BLUEWATER has been organizing these round the world sailing trips for the past eighteen years, commencing a new round every two years. Technically, the rally began in mid-October from Gibraltar with many receptions, lectures and great fanfare. We will be joining these boats in late January 2010 at Porvenir, Panama. Ten other boats currently in the Caribbean will also meet there. We will be sailing under the aegis of BLUEWATER, but each boat will be sailing independently and meeting at various predetermined locations around the world, where parts and services can be arranged in advance of arrival. This will save time- a very precious commodity. There will be daily radio contact with the other boats and we will do various things as a group, such as, transiting the Panama Canal and tours. We will be arriving in Crete in the spring of 2011. Then ANGEL will be left in Turkey for the summer while we return to Canada. The journey will then continue on our own until we reach Curacao again. We would welcome friends and relatives joining us at any stage!